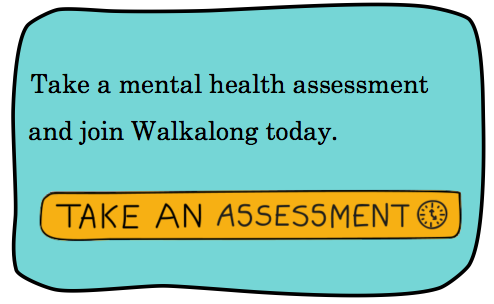 WalkAlong is your mental health companion. Start your journey by taking an assessment here. Track your mood, sleep, exercise, and other measures. 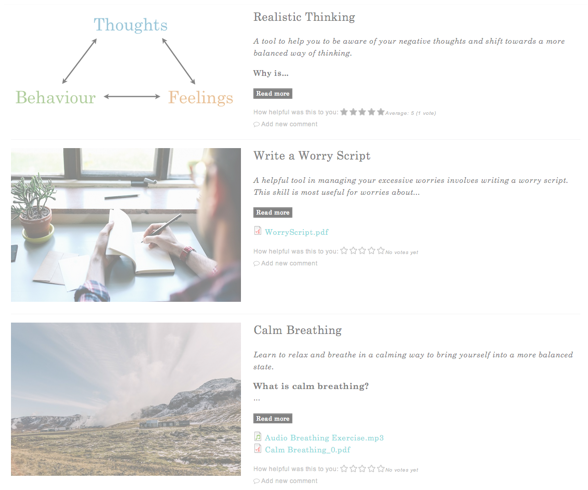 Compare with scores on your mental health assessments over time. Sign up to use LifeChart. Post private thoughts or public messages about yourself, your journey, or ways to cope in the Locker. Sign up to use the Locker. 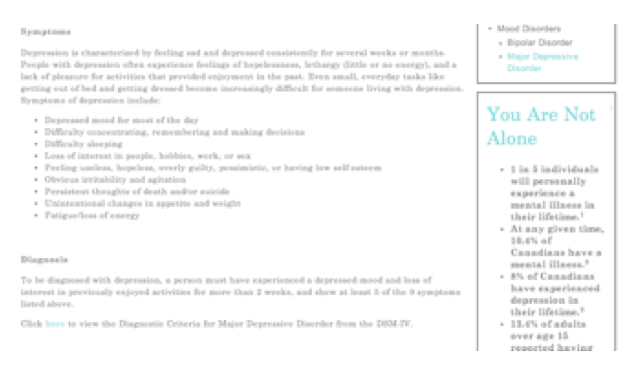 Browse the Encyclopedia to learn more about mental illness – symptoms, diagnoses, treatment approaches, coping mechanisms. 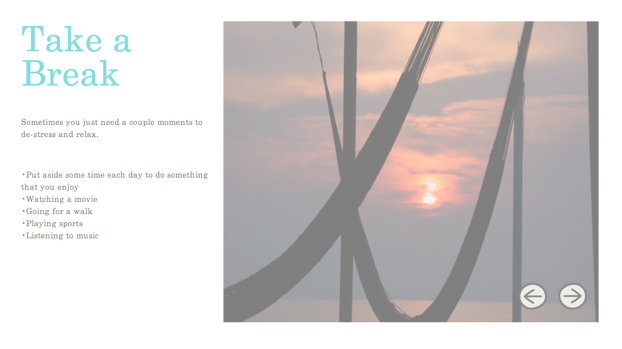 Look through the Experiences section to see a community of videos, quotes and stories of lived experiences. Check out Mind Steps for quick and easy tips to help you get through the day. Browse through the Newsroom for interesting and current research and news. 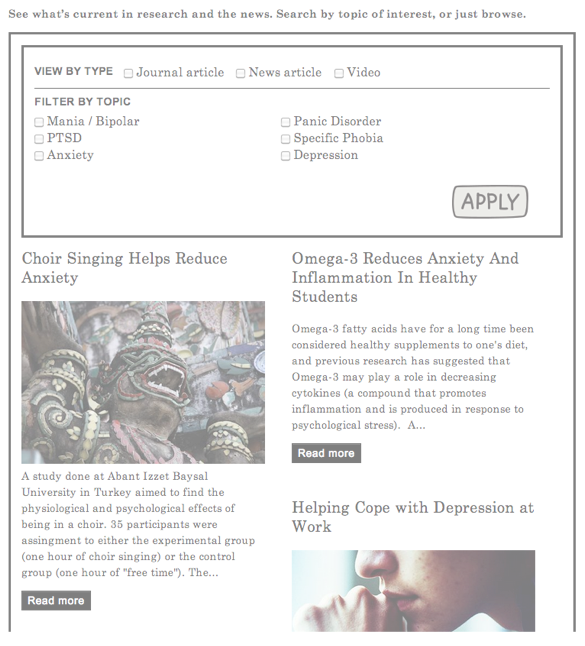 Take a peek at the Links section for existing resources both on and offline. Check out the Self Help Exercises for exercises you can do at home to help you cope and relax.